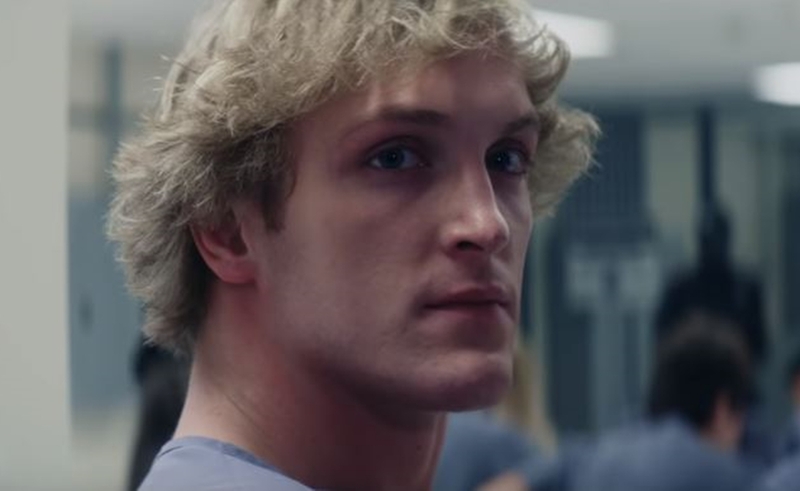 Controversial YouTube star Logan Paul headlined YouTube Premium’s first feature-length dystopian thriller The Thinning — which premiered in Oct. 2016 and was enough of a success for the fledgling service that it promptly ordered a sequel. But that project, titled The Thinning: New World Order, was put on hold earlier this year after Paul notoriously vlogged the body of a man who had committed suicide. At the time, in the wake of continued egregious behavior, YouTube punished Paul in multiple ways: all ads were suspended on his channel for 18 days, he was removed from the lucrative Google Preferred ad program (for which his channels remain ineligible to this day), he was axed from the fourth season of the YouTube Premium comedy Foursome, and post-production for New World Order was put on hold. Now, however, with little forewarning, the trailer for New World Order appeared yesterday on Paul’s vlog channel, which is home to a staggering 18.6 million subscribers. “Surprise,” he wrote on Twitter, alongside the devil emoji. And it turns out that fans and detractors won’t have much time at all to opine on YouTube’s verdict; Variety reports that the film will be available for YouTube Premium subscribers today. Paul is currently in good standing with respect to YouTube’s policies, according to sources. It’s also worth noting that Paul is simply one of many people involved in the film, which co-stars Peyton List, fellow YouTuber Lia Marie Johnson, and Calum Worthy. New World Order, which wrapped last December, was also directed by 29-year-old Michael Gallagher — himself an OG YouTuber behind the now-defunct comedy channel Totally Sketch. The Thinning is about a future society where students who fail to pass an intelligence test are executed due to overpopulation. In the sequel, List’s character becomes the target of a machiavellian presidential campaign, per IMDB, while Paul’s character is enslaved in an underground work camp.